Portland. 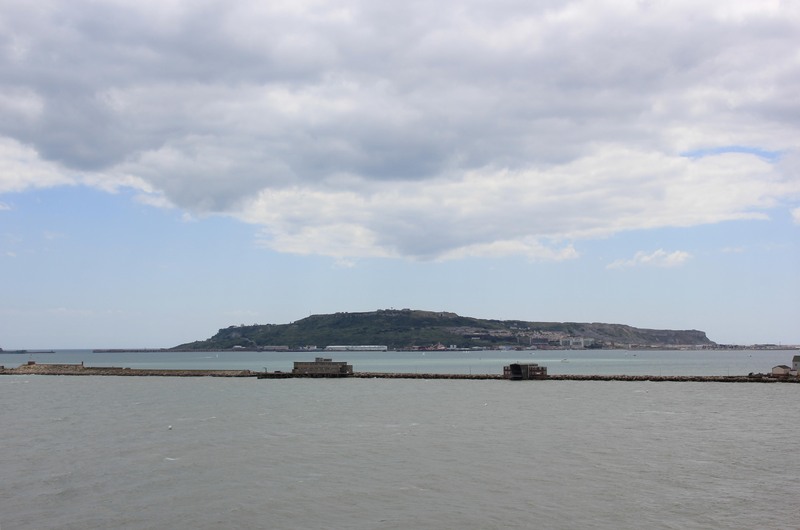 There it was, a short walk away across the isthmus behind Chesil Beach and in front of its harbour defences which stretched across the water. The walk across to Portland from Weymouth is not the most interesting one we have ever undertaken. 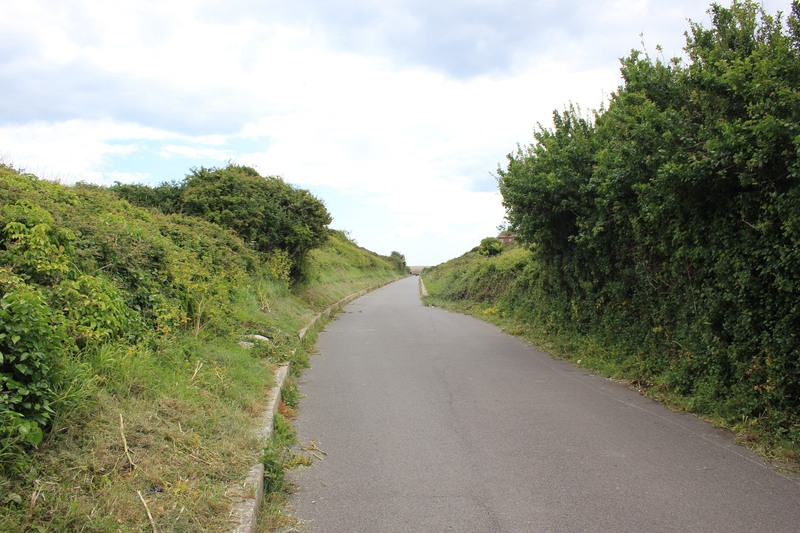 It starts off along the Rodwell Trail which follows the line of an old railway track. This may not be the most interesting path to follow, but to me tracks like these can be a bit of a godsend. In the past, when the kids were still with us, I would see a stretch like this and yell, “Route March!” I would stride off and stare intently at my GPS to make sure we are doing at least 5 miles an hour, ignoring the shouts of dismay from the kids as they had to pick their paces up. The quietude of the countryside would be shattered with complaints of a stitch within the first 100 yards, but soon the entire situation would turn into a walking race. No running – that wasn’t allowed. Our bulbous bodies would struggle to keep up with our little legs; our elbows would swing like pistons; our bums would wiggle unashamedly at other walkers as they dived for cover to avoid the unstoppable train of our barely-in-control group that steamed towards them. Then, in a flagrant breach of the unwritten and unspoken rules, one of the kids would break into a run, leading the other to tear off after them. We could cover miles in minutes like this, and when you’ve got 7,000 of them to cover that can sometimes be a good thing. The kids weren’t with us today, but family tradition is family tradition, and so it was that in the blink of an eye, we arrived at Portland. Can you see that sand bank in the background? That’s the world famous Chesil Beach. More about that later, for there are much better views of it from the high land on Portland. 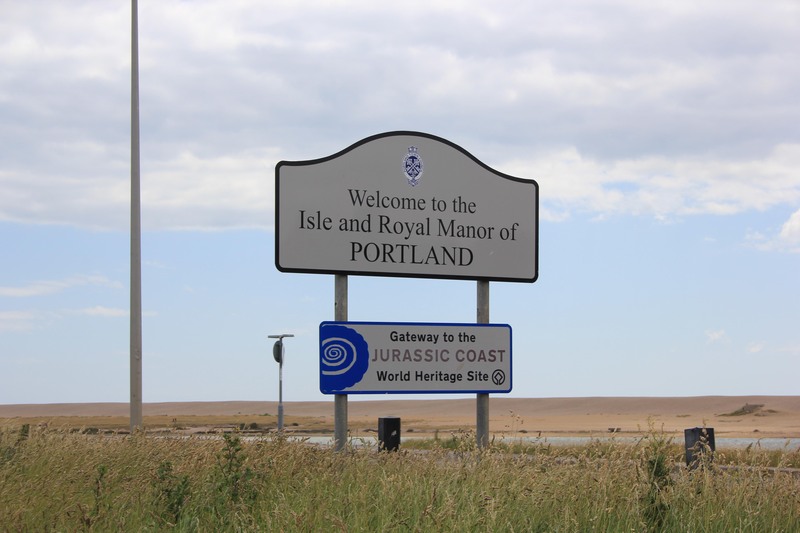 This entry was posted in Dorset and tagged coast, Dorset, portland, travel, walking. Bookmark the permalink. Somehow, I don’t picture any of your family ever having ‘bulbous bodies’ lol! I’m not so sure about that Jill, but if you keep that current picture in mind we’d all be grateful to you! !